Complete an e-mail form for further information or email us with questions about our weekly classes or private lessons. 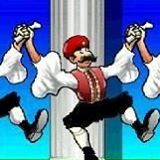 Thank you for contacting Fengari Greek Dancing. We will get back to you as soon as possible.